Triple Crown showdown is a long shot, but there’s always plenty of action at Saratoga. 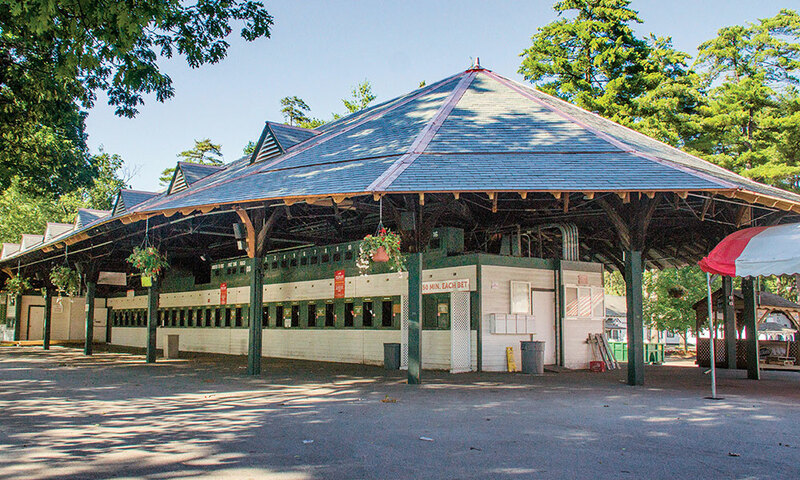 Without question, the safest bets of the 149th Saratoga season are that history will be made and champions will emerge during the 40-day season that opens on Friday, July 21 and runs through Labor Day, Sept. 4. That’s par for Saratoga Race Course, America’s oldest and most revered track. Five horses that won Eclipse Awards in 2016 competed in Saratoga last summer. That group was led by the 3-year-old titleists Arrogate and Songbird. Songbird was the 2-year-old filly champ of 2015 and had a big reputation that she enhanced with wins in the Coaching Club American Oaks and the Alabama. However, Arrogate was something of an unknown until he swooped in from California with trainer Bob Baffert to win the Travers with a smashing performance. Since breaking the 37-year-old track record for 1 ¼ miles in the Travers, Arrogate has won the $6 million Breeders’ Cup Classic, the $12 million Pegasus World Cup and the $10 million Dubai World Cup and is the top-ranked runner on the globe. Arrogate is scheduled to stay on the West Coast this summer to compete at Del Mar, which is hosting the Breeders’ Cup in November. In Saratoga, that is good news for the owners and trainers of horses who are aiming for The Whitney on Aug. 5 and the Woodward Stakes on Sept. 2. Gun Runner finished second to Arrogate in Dubai in March and returned to the races in June with a convincing victory in the Stephen Foster at Churchill Downs. He’s a likely candidate for one or both of Saratoga’s two top races for older horses. Shaman Ghost, the 2016 Woodward winner, had a solid first half of 2017 and could be a player at Saratoga again. Baffert has a very strong lineup of older horses, and it wouldn’t be surprising to see him send one or more of them to Saratoga so they don’t have to deal with Arrogate. Worth noting is that The Whitney’s purse has been cut by $50,000 to $1.2 million. Two years ago, Saratoga fans squawked when NYRA made The Whitney worth more than the Travers. They were equal last year and the $1.25 million Travers has been restored to its place at the top to the Saratoga stakes list. For the second year in a row, the Triple Crown races were won by three different horses: Always Dreaming in the Derby; Cloud Computing in the Preakness; and Tapwrit in the Belmont Stakes. All three are based in New York. Todd Pletcher has Always Dreaming and Tapwrit; Chad Brown, Cloud Computing; and the Aug. 26 Travers will be an important prize in the wide-open competition for the 3-year-old male title. Triple Crown horses Classic Empire, McCraken, Irish War Cry all look to be Travers candidates, too. A showdown of the Triple Crown winners is appealing, but history shows us that it will be a long shot, at best. Twelve times since 1990, the Triple Crown was won by three horses, but none of those trios met at Saratoga. In 1982, the three winners did enter the Travers, which was won by outsider Runaway Groom. According to Allan Carter, historian at the National Museum of Racing, the only other time that the three winners of the Triple Crown races met in the Travers was in 1918 when Sun Briar handled his stablemate Exterminator (Kentucky Derby), War Cloud (Preakness, first division) and Johren (Belmont Stakes). 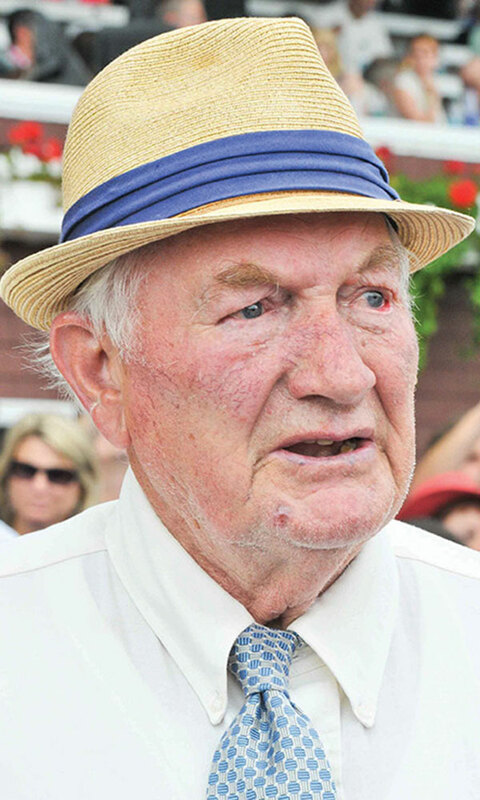 Two years after his death, The New York Racing Association is honoring the legendary trainer H. Allen Jerkens by renaming the Grade 1 King’s Bishop as the H. Allen Jerkens Memorial. The seven-furlong race for 3-year-olds, was first run at Saratoga in 1984, and has been on the Travers day program since its inception. It was not held in 1986. Jerkens, affectionately known as “The Chief,” died at age 85 in 1985. He was the leading trainer at Saratoga four times during his brilliant 65-year Hall of Fame career and in 2010, NYRA put his name on the prestigious Saratoga training title award. Jerkens won many stakes at Saratoga. His victory with Onion over Triple Crown winner Secretariat in the 1973 Whitney is part of the historic track’s lore and was another reason why he had the “Giant Killer” nickname. Now carrying a purse of $500,000, the Jerkens Memorial has been won by a number of outstanding runners and produced five champion sprinters: Housebuster (1990), Squirtle Squirt (2001), Lost in the Fog (2005) Runhappy (2015) and Drefong (2016). During the off-season, NYRA upgraded the 115-year-old former saddling shed behind the clubhouse, which now houses the racing office and many mutuels windows. NYRA announced that that rafters would be repaired and replaced and a new slate roof would be installed. Funding for the improvements NYRA makes at its three tracks comes from revenue it receives from the casino at Aqueduct Racetrack. The distinctive 15,400-square-foot building in the center of the track grounds was constructed in 1902. It was an alternative to saddling horses under the trees in the open-air paddock during inclement weather and was converted to other uses in the 1970s. The structure was built soon after William Collins Whitney took control of the Saratoga Association, and is recognized for its dramatic roofline, which features wood trusses with iron tie rods. In mid-June, NYRA announced that SOSH Architects, with offices in New York and Atlantic City, has been selected as the architect of record for the proposed At the Rail building development at the end of the clubhouse. The building would replace the seasonal dining tent at that location. This will be the first Saratoga meeting since the NYRA was returned to private control by New York State earlier this year. Gov. Andrew Cuomo and the state took over the association in 2012 after a report was issued showing that NYRA shortchanged some bettors in payments of exotic wagers. The takeover and reorganization of NYRA was supposed to last three years, but control was extended for two additional years. Trainer Chad Brown and jockey Ricardo Santana Jr.
Brown, 38, a local hero from nearby Mechanicville since he won with his very first Saratoga starter – Star Player – in the first race on opening day in 2008, has emerged as a star player himself. He won his first Saratoga training title last summer with a record 40 victories and earned his first Eclipse Award as the outstanding trainer in North America. Once again, Brown will be competing with 12-time Saratoga champion Todd Pletcher for the coveted crown. Santana, 24, won 14 races at Saratoga Race Course in 2016, his first season at the track. 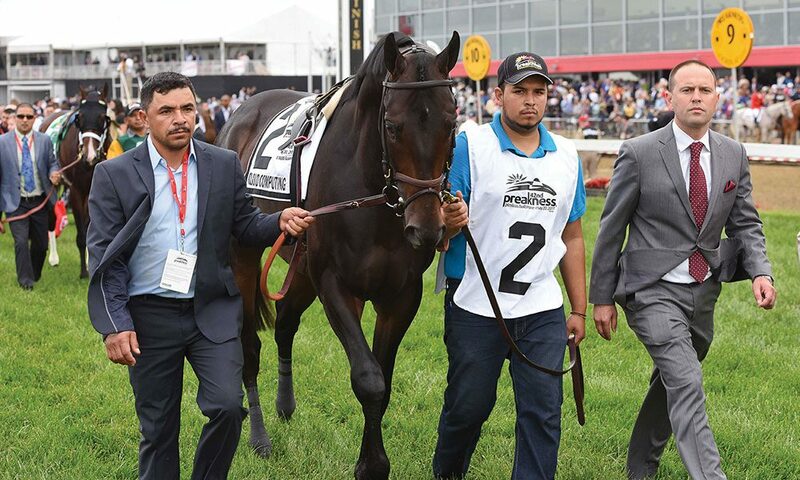 The five-time leading rider at Oaklawn Park recently moved his tack to New York, should have more business with trainers on the NYRA circuit and may be making more stops in the winner’s circle. Much like the annual Brown-Pletcher competition, the battle for the jockeys’ title is likely to be between last year’s winner, Jose Ortiz, and four-time defending Eclipse Award winner Javier Castellano.